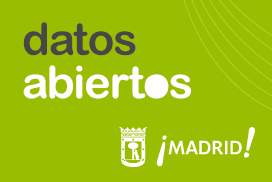 Member of the Open Data Working Group of the Network of Local Entities for Transparency and Citizen Participation (Spanish Federation of Municipalities and Provinces). Associate Professor of the Faculty of Computer Science at the Universidad Complutense de Madrid. On the occasion of the Open Data Day, Saturday, March 4, 2017. Since the 2004 Open Knowledge Foundation began to claim citizens’ rights on public data, the universal panorama has changed enormously. Partly because of the policies of transparency of the most advanced governments, and partly because of the necessary development of smart cities. A strategy widely accepted by large cities is to motivate the participation of companies, institutions and individuals in the development of resources and applications: “We invite you to discover and build on public data” is the message of some governments. This strategy wants to achieve two goals: to increase quality of life and security of citizens. But, how is it achieved? It is clear that new information technologies are very much in the forefront of these goals. Open Data becomes a commodity that governments must supply in a transparent way. As compensation, companies are invited to build businesses of interest for the citizens that at the same time generates wealth and contributes to the economic development of the smart cities especially. An example is Moovit, an application that allows us to know at what time our bus arrives. Nowadays there are already countless applications based on the reuse of Open Data. And this will expand rapidly. Motivated by transparency policies, governments are willing to provide the most valuable raw material: data. These data are collected with public money, stored and updated in easily manageable formats. Once published, they become Open Data. Since September 30, 2010, when the UK’s National Archives released the first government license for data re-use. Open Government doctrines have been aimed at helping citizens to create and improve public services and transparency. Usually the Open Data are accessible in web portals that have evolved very positively in the last years. In these portals we can download datasets and analyze them directly. We may also request the publication of new datasets or automate downloads or run queries of interest to our business. In the era of Big Data, open sources of information are especially interesting: they are up-to-date, clean and reliable. They do not require complicated integration processes as they do not contain noise and we only have to download the data sets we need at a specific time, so we save both transfer time and storage costs. Fortunately, universities and research centers are also joining this initiative. They are working in building open repositories where the results of research and all kinds of experimental data is published. In Spain, for example, the Institutional Repository of the University of Granada has been created. Also in Madrid, the Social Big Data-CM project with members of several universities, is developing an open repository where they will share their researching on the social Big Data change. Very soon all our universities will contribute their results and together with the Open Government we will see great changes in our society.